Get great posts on technology, gadgets, entertainment and news (not the boring stuff) delivered straight to your inbox everyday, just a click away. Amazon confirmed it plans to split its new headquarters, dubbed HQ2, between New York City and Northern Virginia. The announcement ends a year-long courtship by cities and metropolitan areas across North America. Also Tuesday, Amazon announced a smaller, third investment in Nashville — another finalist city. 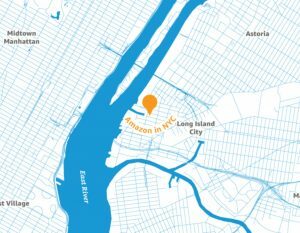 The city will be home to Amazon’s East Coast operations hub. There Is NO Such Thing As A TRASH Fish!!!! !